With a projection of only 600mm, this Series 4-piece Bathroom Suite is ideal for small or large bathrooms. 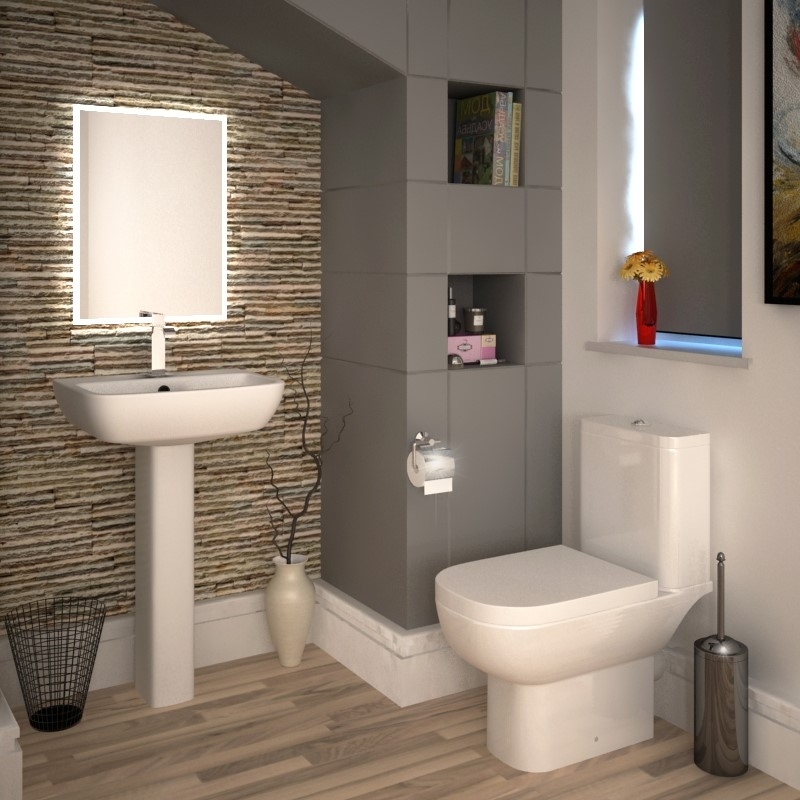 Perfectly suited to cloakrooms, this compact toilet is one of the smallest on the market, yet perfect for everyday, family use. The soft, matching curve of the basin complements the toilet perfectly, and gives a distinctive look and personality to any modern bathroom.